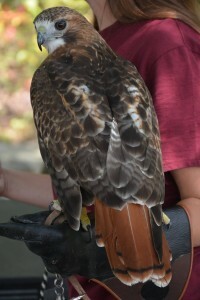 Canaan is a female red-tailed hawk from West Virginia’s Canaan Valley. When she was about one-year old someone shot her with a rifle, and she is missing the end of her left wing. 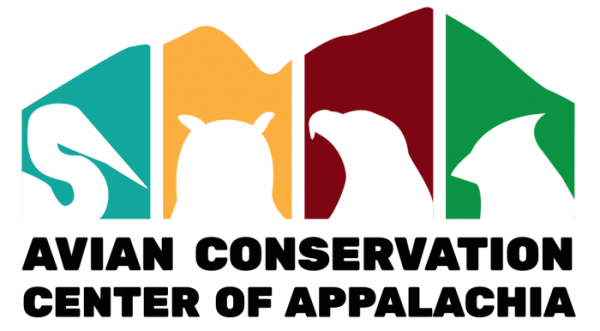 Luckily, one of the ACCA’s veterinarians, Dr. Jesse Fallon, was on a fishing trip in the Canaan Valley with two of his friends from veterinary school. They were able to capture the injured hawk. We like to say that Canaan knew she was hurt so she flagged down a truck full of veterinarians. 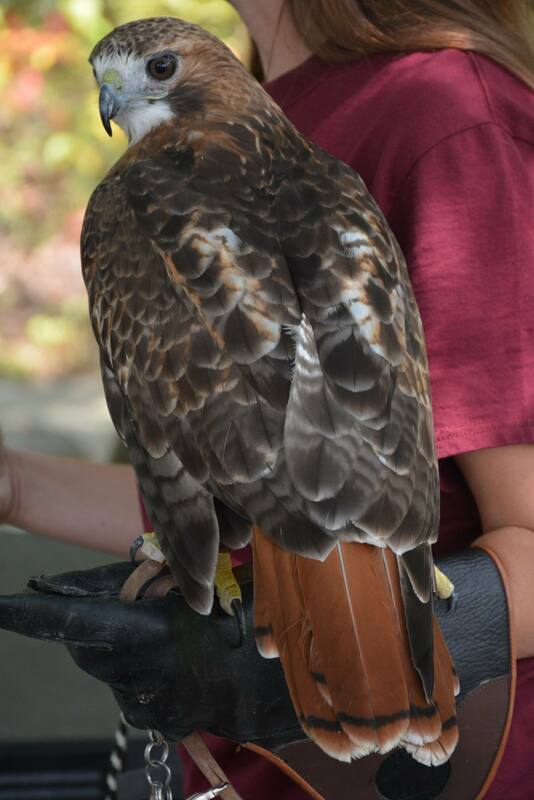 Red-tailed hawks are the most common large hawk in West Virginia, and one of the ACCA’s most common patients. Despite their abundance, seeing one up close is an amazing experience!